The Manuscripts must be e-mailed to [email protected] by April 15, 2015. 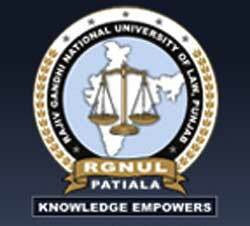 The RGNUL Student Law Review (hereinafter “Law Review”) is a bi-annual, student run, peer reviewed journal based at Rajiv Gandhi National University of Law, Punjab. It is the flagship journal managed by the students of the University. It has been founded with the objective of facilitating arguments in black and white. The Editorial Board of the RGNUL Student Law Review (RSLR) invites blog posts from the legal community on the theme 'Intellectual Property Rights' as an initiative supporting the Current Issue of the Law Review.